Have you brought a new computer and wish to move all your wallets from old PC. If you are using light weight electrum wallet or any other multi-currency wallets like Jaxx or Exodus; moving it to another computer is quite simple. All you need to do is download wallet to new PC and restore wallet seed which will move all your wallet address and its funds. But how about core qt wallet client. Well, you can install wallet in your new machine and just transfer coins to it. Or you can just copy the wallet backup files and put it in the appropriate folder. But this is not the right solution. Bitcoin blockchain file size is more than 150 GB, Monero wallet size is more than 50 GB and Litecoin wallet is more than 20 GB. With such huge blockchain file size syncing it from the start is going to take a long time. Well, by using bootstrap file you can speed up the wallet synchronization process but it still uses a lots of resources. So what is the simplest, easiest and fastest way to migrate wallet from one computer to another. Previously we’ve explained about moving blockchain files from one directory to another. Since blockchain file size is growing you may run out of disk space at some point of time. As a result you might have to change the wallet directory and to know how it’s done check the following guides. Now the process in moving wallet to another machine is also quite similar and before we show you how to do this we’d like to mention few things about the wallet files. Are wallet and blockchain files cross-platform compatible? 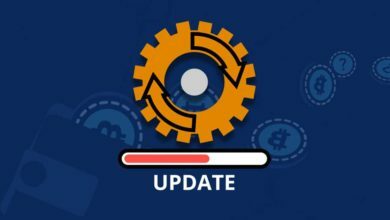 If you have the blockchain downloaded and synced in your old computer then you don’t have to go through the process of downloading blockchain and verifying it again. You can just copy the whole directory over to another machine and your wallet will remain fully synced. 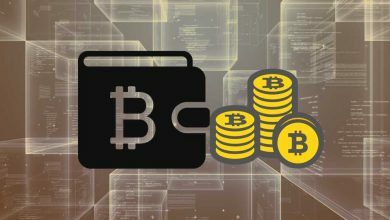 But what if you wish to move your wallet to different Windows architectures (32 bit / 64 bit Windows) or from Windows to Mac or Linux operating system? Are the wallet core files cross-platform compatible? The binary files for Windows, Mac and Ubuntu differs. But Yes, the wallet backup file, database file and other core files such as: wallet.dat, wallet.keys, lmdb (data.mdb, lock.mdb), blk*.dat, .ldb files are compatible across platforms. So you can basically move your wallet to Raspberry Pi or another computer or different operating system without having to download the entire blockchain again. Note: Your wallet blockchain and other core files are no big deal as you can download them anytime from the Internet. But what you must care most is the funds in your wallet. So before you proceed with this guide remember to backup your wallet. In Bitcoin, Litecoin, Dash and other QT core wallets it is wallet.dat file which you need to backup. 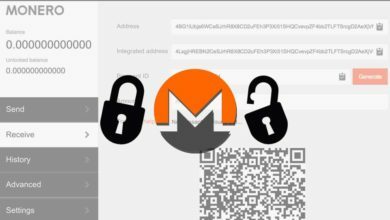 For Monero check this guide which explains how to backup Monero wallet seed and keys. Okay, now as you have your wallet backup stored safely let’s see how to move your wallet to another system. System 1: To move your wallet to another computer first you need to locate the associated data and config files of your existing wallet. If you haven’t set a custom data directory then all your core wallet files will remain in the following location. The above location is where you’ll find your Bitcoin core blockchain files including wallet.dat. The same data path is where you’ll also find other wallets such as: Litecoin, Dash, Ravencoin etc. But for Monero and CryptoNote based coins it is in a different location. Also note that in Windows, by default the AppData and Program Data directory will be hidden. Now since you’ve located wallet files from your old PC we can move them to your new machine. System 2: First download and install the wallet in your new computer. Once done run it and then close it which will automatically create all the necessary files in the above specified directory. Now copy the whole data directory from system 1 to the appropriate wallet directory on system 2. You can even choose a new custom directory and it doesn’t matter where the files are located. 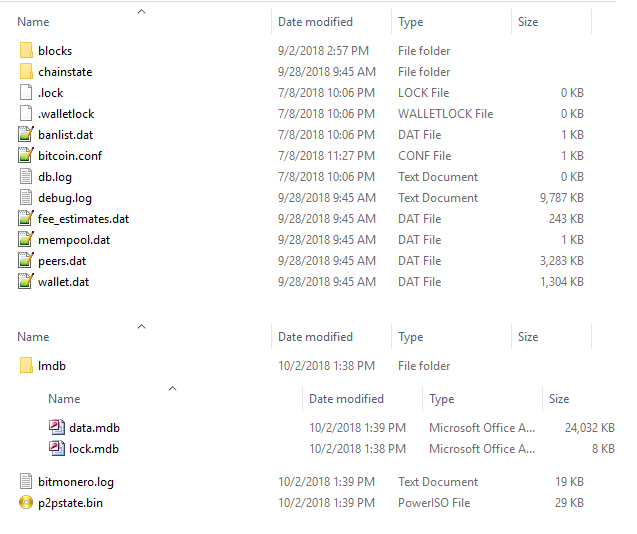 Only thing you need to make sure is to place the blockchain and wallet files in the right directory. Once the files are copied you can open wallet in your new system and start using it. Remember to not delete wallet and its files from your old computer until unless you’ve successfully migrated. Also remember to often backup your wallet files before making any changes. Hope it helps. If you face any trouble or finding difficulties in moving wallet then please let us know in the comments section. 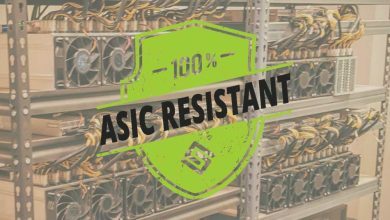 ASIC resistance explained – What does it mean for a coin to be ASIC resistant?